Throughout my web design and development career, I have used many hosting providers and have had different experiences with each. Some had good customer support but not so good website speed. Some had great performance but were pricey. And many others completely sucked. You know who GoDaddy! I quickly found out that no hosting provider is perfect. I will talk about a couple WordPress hosting providers that I’ve worked with a lot lately. Each has advantages and disadvantages. Bluehost is one of the most popular players in WordPress hosting. It is generally recommended for small websites with low monthly traffic. Bluehost is cheap. At $6/month ($3.49 current promotion) it’s super affordable for the value that it offers. Great customer service. I like that the customer service is well trained (USA based), and they answer the phone quickly. Sometimes they have a 45 minute waiting time, but that’s rare. Now, if you submit an email ticket that could take 2 – 4 days, your best chance is to use phone or twitter for more simple questions. Full Features. Bluehost comes packed with many great features such as: emails, one click WordPress installs, Cloudflare integration etc. Supports multiple websites. You can have unlimited WordPress websites, which is a great way to further save on hosting costs. Bad performance for larger websites. Bluehost handles smaller and medium websites pretty well especially if you use Total Cache plugin. However, some websites are simply to much even with a caching plugin. I have had to move a client away from them because the pages took longer than 10 seconds to load! This website has thousands of visitors a day! 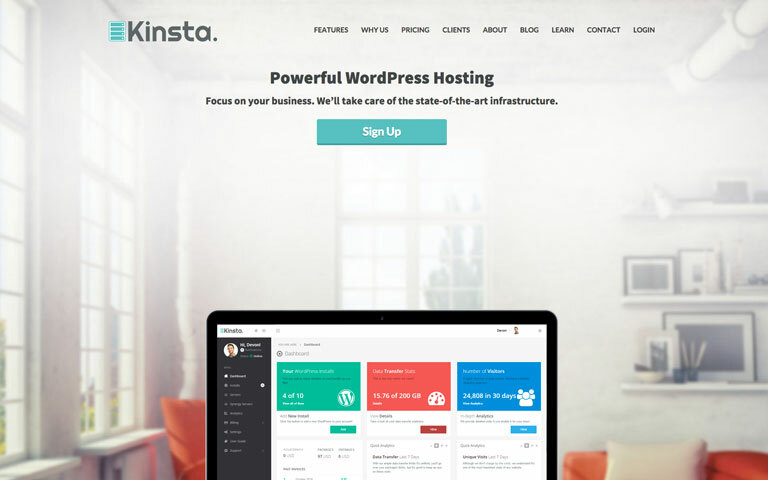 Kinsta is a relatively new player in WordPress hosting provider space (or at least it is not widely renown). It is considered a premium WordPress hosting provider service, because they focus on better experience for their customers. There are other premium hosting providers such as: wpengine.com, flywheel hosting and pagely. 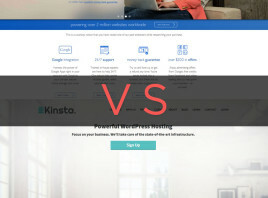 I believe Kinsta beats all of them, because their server is superior and provides better website speed. It also offers the best value for the price. Fastest out there! When it comes to speed, Kinsta is no joke! Remember when I said one of my client’s website took longer than 10 seconds to load on Bluehost? Check it now on Kinsta and you will see it loads in less than 3 seconds. Free Migration. They will migrate your website for free. That includes pointing the domain, moving the files and database to their server. Pretty cool. Better security and free hacking fix. Got hacked? They will fix this for free for you. Staging Area. You can duplicate the website for development purposes. It’s only one click away. Advanced Caching and CDN is another included feature that makes websites load even faster. Pricing. They recently went into pricing restructuring. They had a plan for $27/month for a single WordPress website. Now they have a plan that starts at $157/month for 10 websites. It’s obviously a plan target to resellers or for companies with higher budget. Delayed email support and no phone. I do love email; however, sometimes I really wish I could reach them for a quick phone consultation. They usually answer support emails the same day, but you’ll need to wait longer before the tasks are completed. I know one time it took almost two weeks to get a task completed, which is un-acceptable for a hosting provider in that league. As you can see, each hosting provider has strengths and weakness. If you have a larger website with a hundred thousand or more visitors monthly, go with someone like Kinsta. 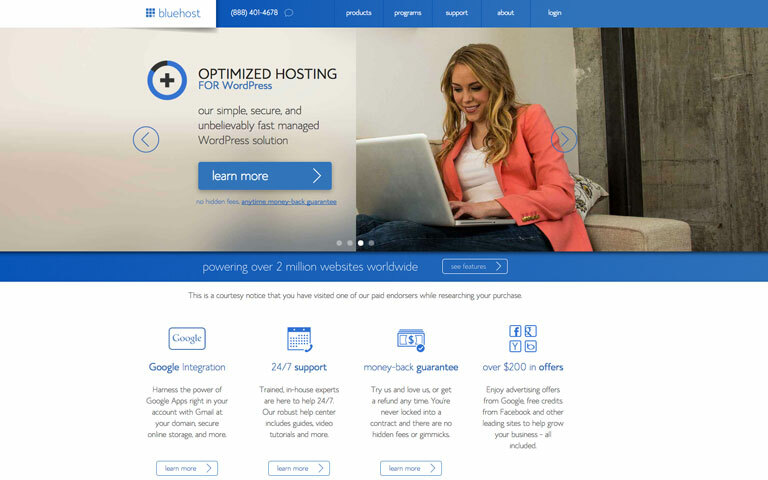 If you have a smaller or medium website with a thousand visitors a month, I would choose Bluehost. I’ve never heard of Kingsta before. Thanks for the heads up! What do think about hosting providers out there that don’t necessarily favor wordpress specifically, but do good for large sites — say Media Temple? I haven’t checked them out yet, but I’m leaning that way. Thanks for the detailed review and for the compliments. @Brandon Media Temple was all the hype some time ago however they had a huge security break down where many websites got hacked. @Anita Some more support staff would definitely help! I also hope to see the single website license pricing come back.